Cycling UK and Big Birmingham Bikes have created eight new "community cycling clubs" which are getting new people on bikes, including people from deprived communities. 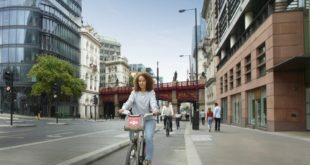 "Birmingham women from hard-to-reach communities are becoming healthier and happier this year by getting on their bikes," says a statement from Cycling UK, which was formerly CTC. 209 people have been attracted to the thee clubs – 81 percent of them are women. 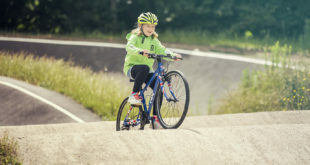 Ian Richardson, Cycling UK’s director of cycling, said: “Dozens of people are now riding regularly with the community cycling clubs in Birmingham, bringing huge benefits to both their physical and mental health, not to mention the local economy and environment." 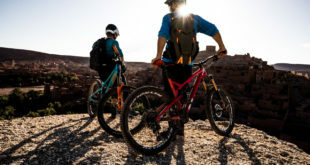 He added: “Of the 209 people involved, 28 percent were previously deemed physically inactive – which is defined as doing less than 30 minutes of physical activity a week – and the same percentage were non-regular cyclists." Eighty percent of the participatns are from ethnic minority backgrounds, with Asian or Asian British the most common ethnic group, while 22 percent are aged over 55. “To see how the lives of all these people have been improved through cycling is extremely rewarding,” said Richardson. Twenty-two members of the lubs have also become volunteer Ride Leaders. 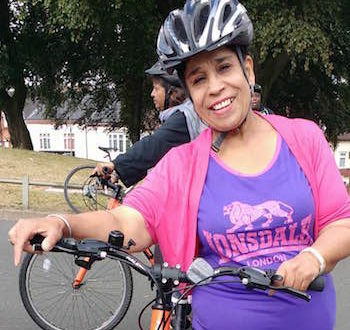 Joy Anibaba, 51, has been a key figure in the growth of the cycling group Joyful Bellas and Fellas at Edgbaston Reservoir. She is diabetic and has high blood pressure, but cycling regularly has helped her lose weight. Vanessa Morris, Cycling UK’s Community Clubs Development Officer in Birmingham, said: “All the groups we have helped set up are full of great people who are really friendly and supportive of each other – and they are growing all the time, so eventually we will see many more beneficiaries than the 200-plus recorded so far.